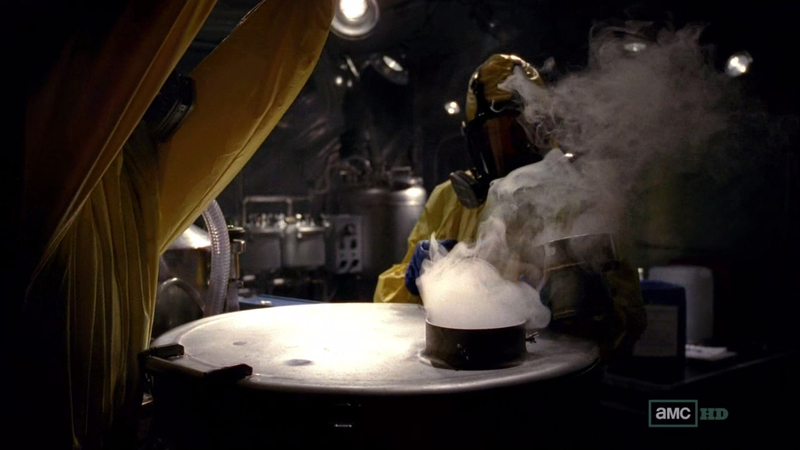 Breaking Bad was on last night and it finally looks like we got to some cooking. A relatively calm episode in terms of crime drama, but we do have some personal stories mixed in. The calm before the storm I think. A storm that will definitely be rocking me side to side. So as of right now, I’m taking in all of this set up and awaiting the climax of the season which should hit us within the next two episodes. Here’s my review of the episode below. Be sure to be aware of spoilers! Because they’re everywhere. The episode opens up covering some of the loose ends from the last episodes: Mike’s 8 or so other guys. It appears he’s visiting them one by one to assure them that they’re being taken care of so they don’t snitch. The lawyer covering up his ears so he doesn’t hear anything was a nice touch. Since Mike decided to go back into business with Walt and Jessie, he can calmly reassure each of them that they’re families will be taken care of and that they’ll see what they’re due by the time they leave the jail, which is known as Hazard Pay. What Mike’s guy says about the other guys possibly flipping may come back to bite by the end of the season. Back at Sauls, the four: Walt, Jessie, Mike, and Saul convene to talk about their new dream team. 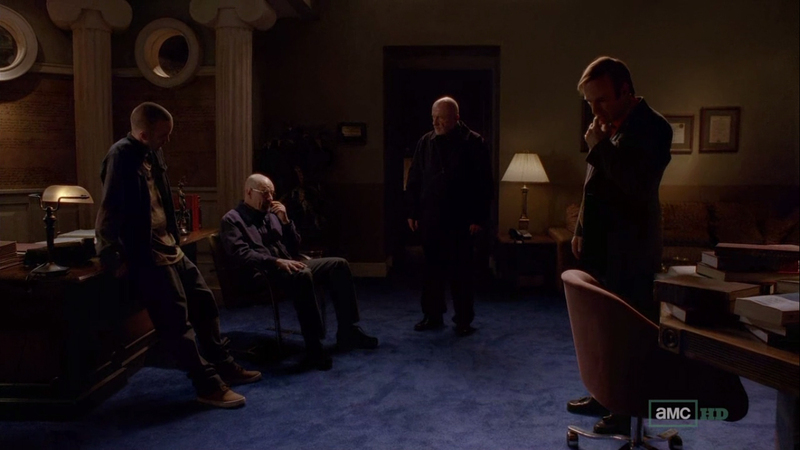 Saul is hesitant to allowing the once enemy Mike into their ranks, but Walt calmly reassures him that there will be no issue. During the meeting Mike gives them [mainly Walt] an ultimatum: Walt Handles the Cooking and that Mike Handles the Business. At first, Walt nonchalantly acknowledges this notion, seeing as he truly didn’t understand how Gus’s business worked. 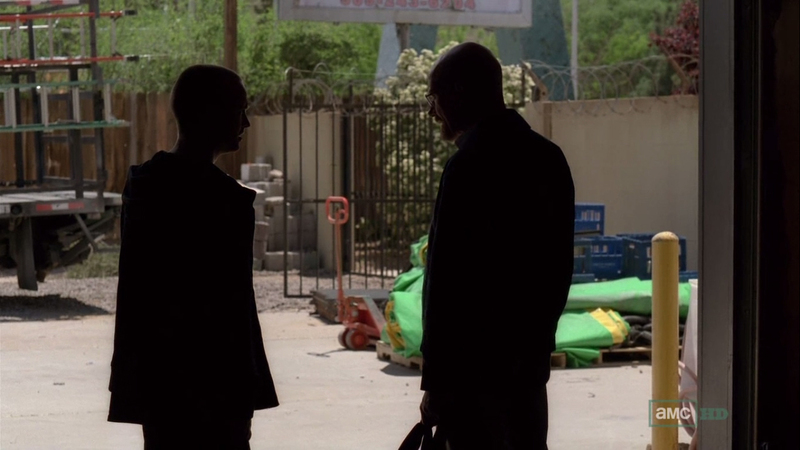 But when Saul approaches Walt alone about how okay he is with this he simply responds, “He handles the business, and I handle him”. This attitude is another coal to the fiery power struggle between Walt and Mike. Meanwhile, Saul takes them to several new locations where they could potentially cook. They turn down numerous places such as box factories, food production warehouses, and video game stores citing logical meanings to their rejection. 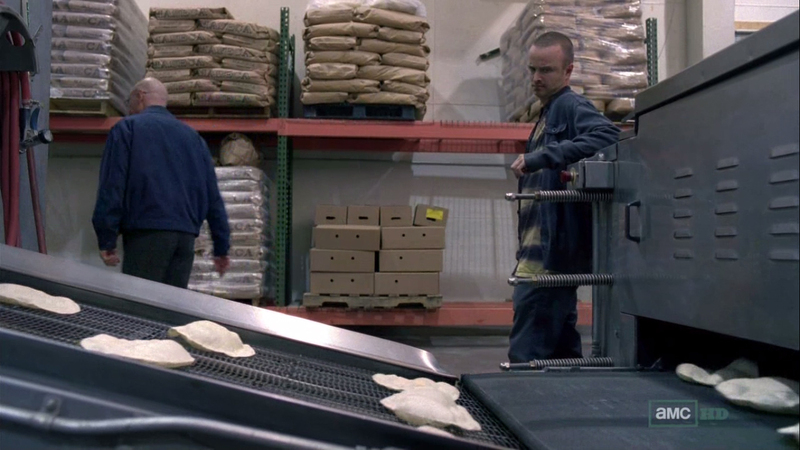 When Saul takes them to an abandoned warehouse, Walt gets an idea when he stumbles onto an enormous tarp. They turn to pest control where they’ll set up mobile cook zones in fumigated houses. A neat and definitely original idea that never would’ve occurred to me [pure testament to the writers of the show.] And speaking of giving someone props, how about Saul, who seemingly knows about a dozen of places. Vince Gilligan announced that he would be interested in giving Saul his own spin off and I would definitely watch that considering how networked this guy is. 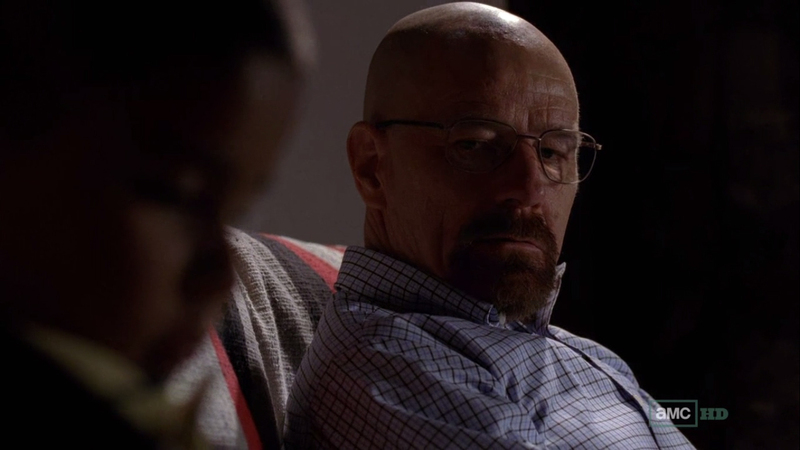 Walt gets a look at the kid he poisoned. He’s essentially horrified, but he plays it off cool in front of Jessie and his lady friend. But when the two of them leave, he’s alone with the kid for a couple of minutes. 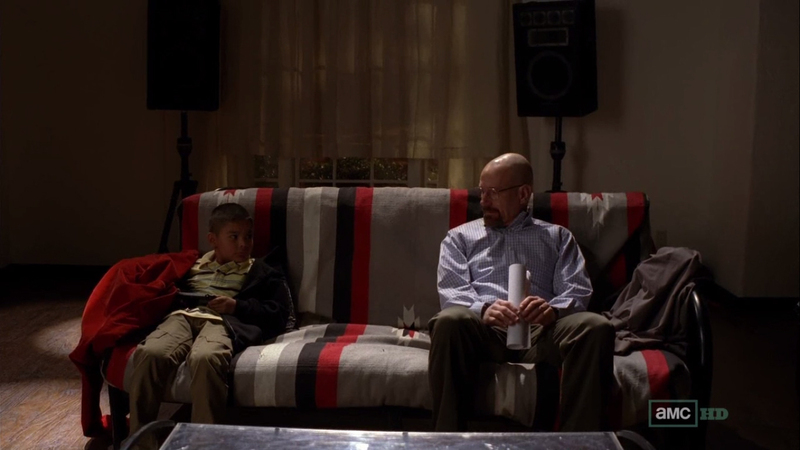 While the kid is ignorant in the fact that his poisoner is sitting in the same room, the look on Walt’s face is priceless. This is definitely not the last we hear from this, but it seems like Walt is becoming more and more guiltless. Has he transformed into a guiltless child poisoner? 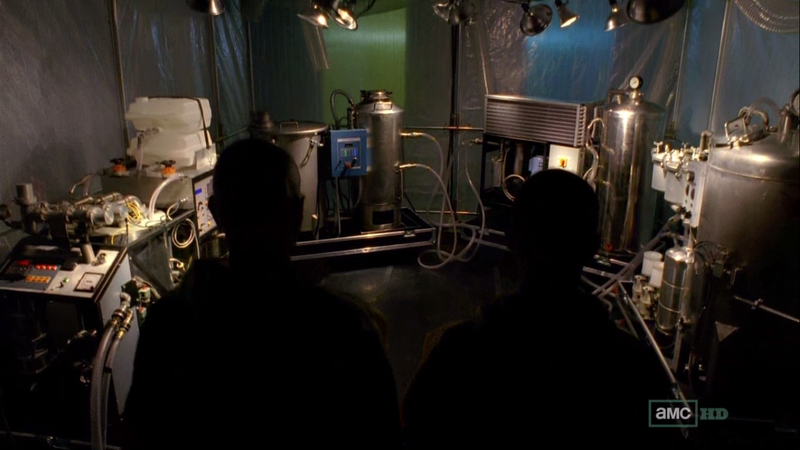 In a nice montage, the Chefs were back to work in the fumigating house. A lot smaller than the lab they were accustomed to, it was nice to see them actually cooking. Combined with a smooth track, some neat machinery at work [being a chemical engineer, I thought it was all truly fascinating], and some generic [though probably actually scientific] chemical sequences [much like the ones you see in your Biology class], it was a neat way to emphasize what they were doing and how it was more like clockwork to them. Bonding Time is Sweet Bliss After So Much Chaos…Is it the Calm Before the Storm? Of course after making a couple of dozen of pounds of Meth, the first thing you do is crack open a few beers and watch The Three Stooges. It was really nice having this talking time with Walt and Jessie. The past season or two, they’ve been held up against their will, threatened, nearly killed, and now they can finally relax with a beer as they slowly make their way back to the top of the world. The conversation that ensued was also very interesting to to hear. Walt was seemingly concerned with Jessie’s lady friend and how much she knew about the business they were into. He sprinkles in a little of ‘Love’, ‘what makes you happy’, and ‘what it’s all really about’, and Jessie eats it up as though Walt really cares. I ate it up too until towards the end of the episode [which I’ll explain later]. Marie returned after being absent so far. And of course, she’s tight-assed Marie, being super condescending and annoying. A reference to Walt’s upcoming birthday reminds me of the first episode and how he treated his bacon in a similar fashion nearly 2 years ago when this series started [which was 5 in real time]. Marie continued and continued to be annoying and clearly Skyler wasn’t having any of it because she just broke down in front of her telling her to shut up about 15 times. The scene was definitely jaw dropping and we haven’t seen Skyler be like that in a long time. 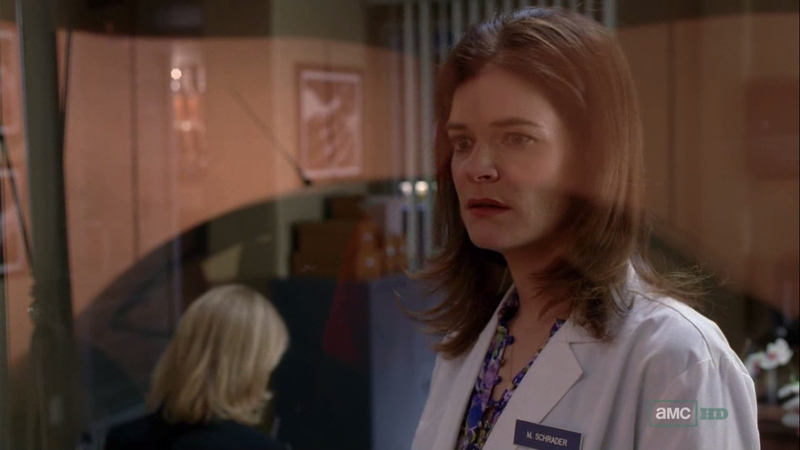 This is clearly a result of the stress that Walt and induced onto her. It’s breaking Skyler’s heart that she can’t tell quite possibly the only person she can trust. When Walt gets home, Marie is waiting for him expecting an answer for Skyler’s behavior. I was very curious as to how he would get out of this one, but playing Ted Beneke was a smart move. That seems to ward her off for a while, but I can’t help that Skyler will eventually have to say sorry to her sister and in her time of vulnerability, she might let out a secret or two. My favorite part of the episode was simultaneously the most tension filled. The money from the last batch was counted and it appears that made them about $1.3 million dollars. The smile on Walt and Jessie’s face was clear, but was quickly wiped off when Mike starting breaking down production costs. $300 thousand to transportation, $300 thousand to Mike’s guys, $120 thousand to paying Jessie off for the loans, etc. etc. 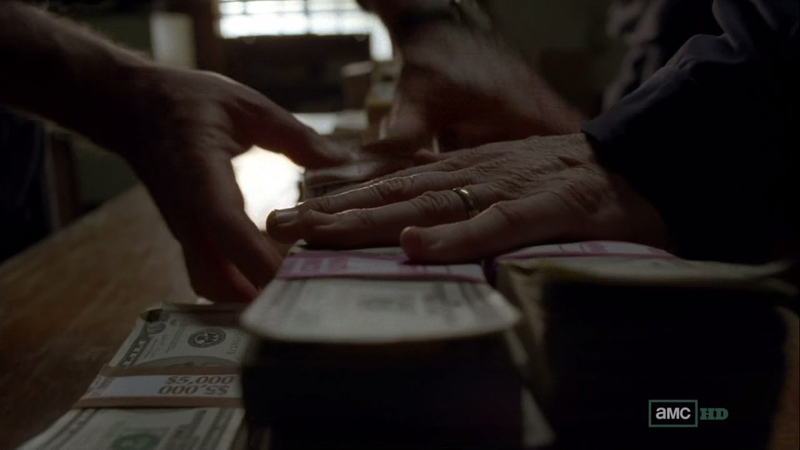 Walt quickly loses his cool and stops Mike from taking anymore money from his pile. Mike returns the gesture with his patented death stare. The tension is thick and Jessie once again quenches the fire with his generosity and intervention. Walt allows Mike to dwindle their original cut of $300 thousand plus to a mere $150 thousand. In confidence, Walt asks Jessie how he felt about it all, and when Jessie thinks Walt was talking about how he felt about his lady friend, Walt shuts him down about that and redirects him to talk about the money. That’s when I figured that the calm conversation above was a means of Walt finding out how much Jessie’s lady friend knew instead of legitimately caring about him. Walt is absolutely becoming the villain of this season, with him being an a$$hole all the time, and it’s getting harder and harder to root for him. Will he redeem himself later this season or will he further descend his path of darkness. 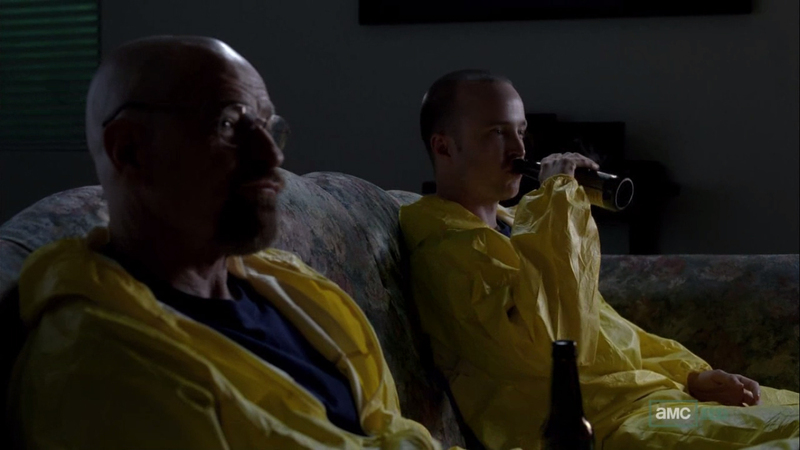 Find out with me as we continue to review Breaking Bad next week.